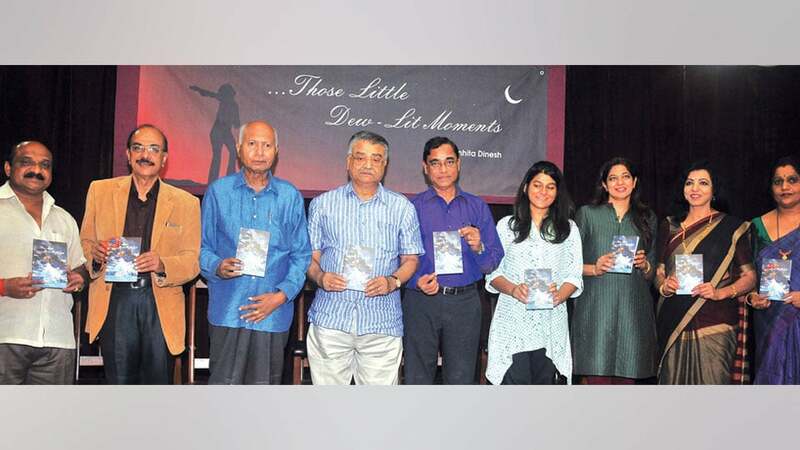 Mysuru:‘…Those little dew-lit moments,’ a collection of poems authored by young poet Samhita Dinesh, was released by Star of Mysore Editor-in-Chief K.B. Ganapathy at a programme organised at Maneyangala in Kalamandira premises here yesterday. Speaking on the occasion, K.B. Ganapathy said that he could not say how the book would be received by the public, but everyone should compliment the teenager for writing the work at such a young age and added that he felt happy to release the book. Noting that generally it is inspiration that drives one to write poems, Ganapathy said writing poetry is a complex task. 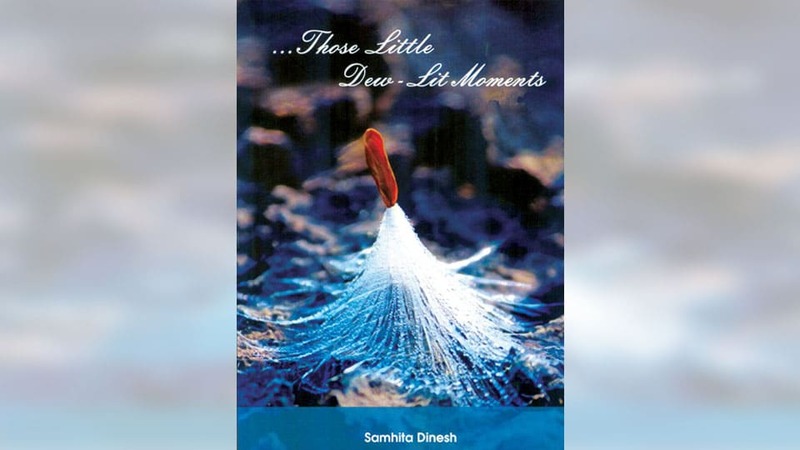 Noting that courage holds key for writing poems, he said that Samhita is an inspiration to young minds to write poetry. Littérateur Dr. C.P. Krishnakumar (CPK), in his address, said that although Samhita is a young girl, her work speaks volumes about her calibre. University of Mysore (UoM) visiting faculty Prof. C. Naganna, who presided, said that poetry has the potential to make one take a peek into life and its ways. Palace Ganapathy Temple Chief Priest Shambavamurthy rendered invocation. Former President of District Kannada Sahitya Parishat M. Chandrashekar, Master of Ceremony Asha Shankaregowda, Kavyaloka Trust President Dr. H.B. Rajashekar, Poetess Dr. Latha Rajashekar, Dr. Sowmya Dinesh (Director, Santasa IVF & Endosurgery Institutes, Hassan / Mysuru and SSM Multi-Speciality Hospital Pvt. Ltd., Hassan), writers Dr. Vasanthakumar Timkapura, Prof. K. Bhyrava Murthy and Jayappa Honnali, former UoM Vice-Chancellor Prof. Sashidhar Prasad and others were present. Samhita is the daughter of Dr. H.R. Sowmya Dinesh and Dr. S.R. Dinesh and grand-daughter of Hassan-based contractor S.S. Rangegowda & Nagarathnamma and Mysuru’s paediatrician Dr. H.B. Rajashekar and Dr. Latha Rajashekar.